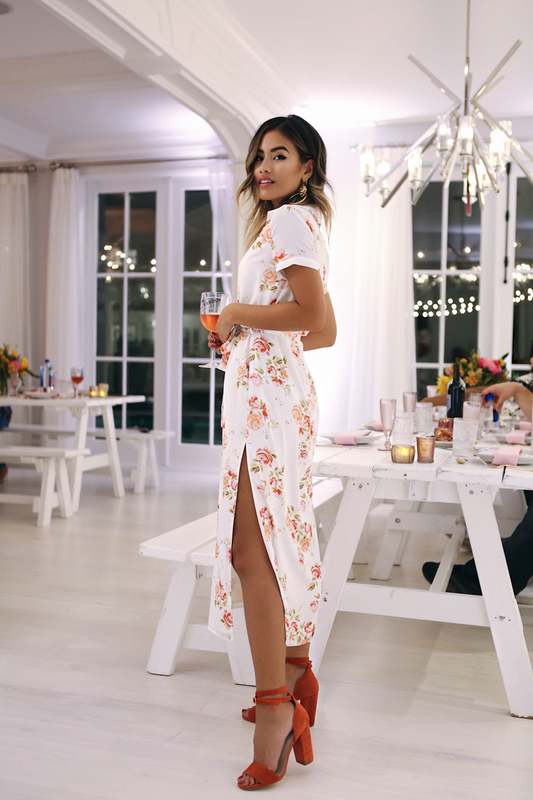 Last weekend I was lucky enough to be invited to none other than #REVOLVEinthehamptons! 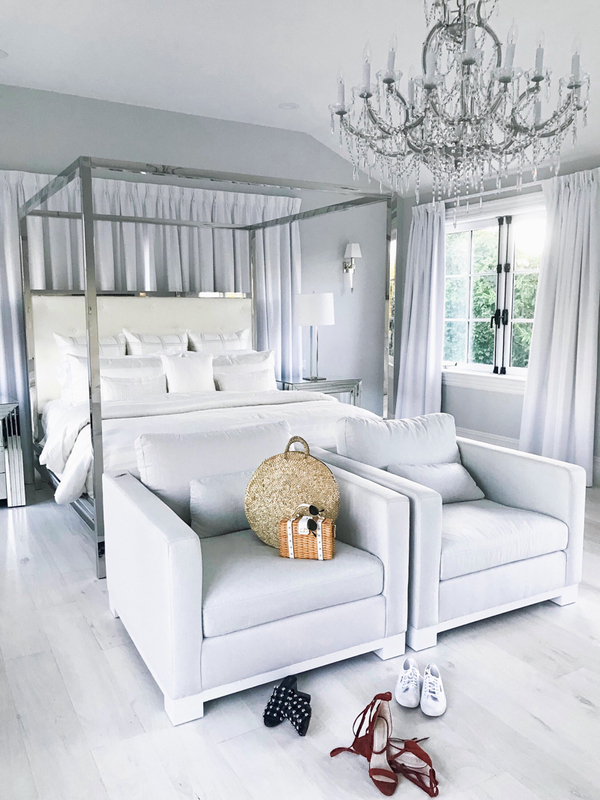 Every summer REVOLVE creates a summer wonderland out in the Hamptons and invites girls from all over the world to enjoy the fun. And not surprisingly, the weekend was magical with tons of highlights. Shall we recap? I flew in a day early to New York to attend the FWRD Men's event in Manhattan. I wore the most comfortable, flattering LPA bodysuit with my go-to GRLFRND Denim. Perfect for dancing away the night because the DJ was KILLER. They even had Cam'ron perform. Throwback!! The next day we all jumped on the REVOLVE shuttle and made our way to the Hamptons. There were two houses that we all stayed in. Each one completely *gasp* worthy. My jaw literally dropped when I saw our room. That day was a bit rainy- but no matter! We moved the Privacy Please dinner inside and it was stunning. It was also our first taste of our chef for the weekend's cooking. You guys...hooked. Probably why we never wanted to leave the house for any meals. That evening we had Game Night! But like, next level game night with two hosts that directed the whole thing. It was the perfect ice breaker for all of us that had just met that day. So much laughter...so far so good!! The second day started with yoga with Adidas by Stella McCartney followed by a power breakfast. After that, all the ladies slipped into our best lunch attire. I opted for a super cute Privacy Please cherry dress. We got to eat more amazing food and partake in the awesome activations happening around the pool. Mani's, shopping, and massages! Back at the other house we all enjoyed the sun and pool. It. Was. So. Nice. So nice that we ended up canceling dinner that night! The plan was to go to dinner at a restaurant but we were all having such a good time we decided to skip it and place the most gigantic take-out order ever. But the highlight of day two had to be the 1OAK night aka #clubREVOLVE. Which if you didn't catch it on Instagram, they literally turned the entire bottom floor of the house into a club. We had the most fun. Probably a little too much fun. All the ladies looked stunning in their h:ours outfits! I wore the h:ours Marion Dress which is a next level sleep dress that is flirty but also comfortable. The last day- so sad!! The sun came out so obviously we had to go to the beach. I wore an amazing cherry one-piece by Tularosa.We had lobster rolls and more drinks (Lordy but not me). We ended the weekend with a movie night outside in our finest LPA. Of course it's REVOLVE so the setup was so picturesque. Massive outdoor screen, blankets, chairs, popcorn, candy and full bar. Such a chill way to end our trip. It was so sad to pack up and leave our little slice of Hampton Heaven. A massive THANK YOU to the REVOLVE team for setting up such a great experience. No detail, long night, or early morning was lost on me! I'm off to my next adventure so be sure to follow along on Instagram! Nice share. Thank you for giving such an useful information. The giving information are more useful for the users. Really very interesting to read the article. You can present the information very simple and easy to understand it. You can do it a good job. Do you have any difficulty to write good points in your essays, if you have you can write it well by taking help from custom essay writing service , It will be get through internet. Stunning photos, you and Jenn looks amazing! Julz | FrameAmbition.com travel. model diaries. video. Miriam Michel / UK ..
yo these could possibly be some of my favorite shots of you boo. LOVE the little head wrap! PERFECT. Your black swim suit is gorgeous!! I love the simplicity of the first outfit, and the headband with tropical print is amazing! I love all the looks of this posts. Great inspiration! Darling I've read so much from "Revolve in the Hamptons". Yours is my favorite, looking great loving life! Thanks ! REVOLVE stock so many beautiful brands, I want a wardrobe full of their dresses one day.